All menus may occasionally be subject to change due to availability from suppliers. You can see what’s on the menu this week below or download the Full Terms Menu. 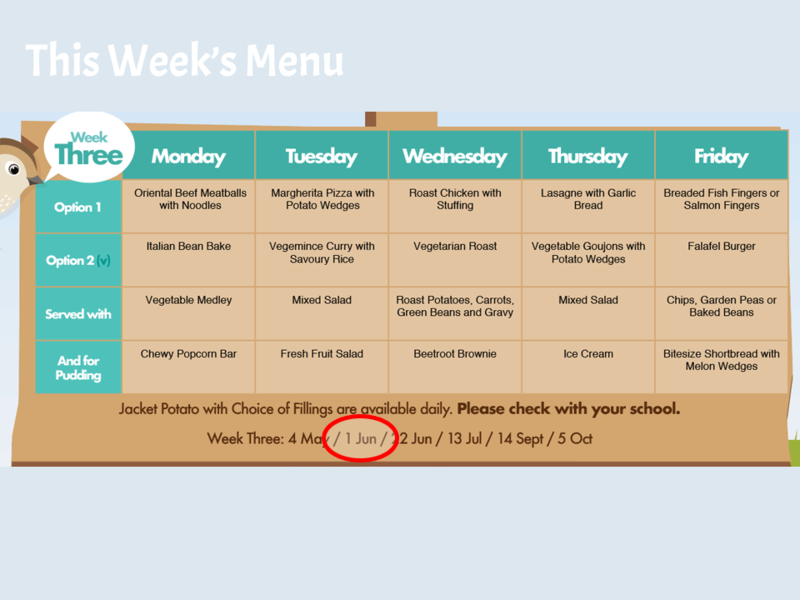 We base our lunches on this menu however where this menu shows pizza we have jacket potatoes with a choice of cheese and/or beans.